God seems to be speaking a lot about this topic. Now Chuck Pierce & friends have a book addressing it. We're not just living for our own lifespan. We're walking in the footprints of the great cloud of witnesses, and we're leaving an inheritance for the myriads of those following after. Inheritance means taking hold of the portion God has planned for you. Jesus said, "I have come that they may have life, and that they may have it more abundantly" (John 10:10), demonstrating God's longing for His people to prosper, to accomplish all He has planned for them. He wants to take them from a place of judgment, desolation, and fruitlessness to a place of restoration, hope, and abundant life. 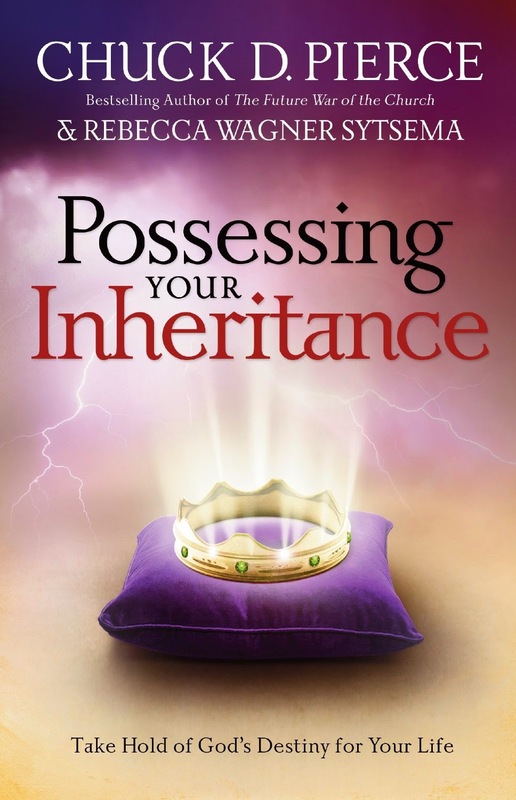 In this revised and updated edition of Possessing Your Inheritance, prophetic intercessor Chuck Pierce, with coauthor Rebecca Wagner Sytsema, shows readers how to embrace what God has destined for them, for their children, and their children's children. Banning Liebscher is on staff at Bethel Church in Redding, California. He and his wife, SeaJay, are the directors of Jesus Culture, a ministry dedicated to mobilizing, equipping, activating, and sending a new breed of revivalists worldwide. Prior to his current position, Banning was the youth pastor at Bethel Church and a lead overseer in the School of Supernatural Ministry. A revolution is moving through the body of Christ, challenging the spiritual status quo and redefining the very notion of corporate worship - a movement inspired by the divine design for holy fellowship. It's a fresh concept rooted in ancient history. Reimagining Church is a stand-alone book, as well as the follow-up sequel to the best-selling Pagan Christianity? 10 years ago I began reimagining everything. Fresh out of high school, I encountered a New York-trained chef working as a short order cook in an out-of-the-way country buffet restaurant, all to be part of an experimental community of Christians who had no paid ministers, no top-down structure and who practiced their own priesthood with open, participatory gatherings. This guy gently coaxed me out of denominational Christianity into the wild and wooly world of house churching. I had tons of questions. Reading was as crucial in this period of questioning as the flesh-and-blood connections I was making between bodies and church; paper guides could carefully lay out where the nascent North American house church movement was going. Two newly-self-published tomes by a Florida house church planter named Frank Viola were crucial reads: Rethinking the Wineskin and Who Is Your Covering?. In them Frank carefully laid out why authentic church might have more to do with bodies than buildings, and mutuality than mortar. As the Quakers say I was "convinced," and began a journey into shared life with other friends and followers of Jesus in intentional community. A decade later I'm still involved in house churching but my questions persist. (I'd have it no other way.) My questions have changed, too - they probe deeper than the "what" of church and move into the "why." Thankfully, Frank's writing has matured along with my questions, and "Reimagining Church" is the result. Rewritten and, well, reimagined for the 21st century, Frank remains a champion of church in the 1st century. But at its best, his is not a wooden literalism verging on fundamentalism, but an evocative appreciation for the peculiar genius of Jesus and his earliest followers for the ways Way-farers can arrange ourselves to most beautifully reflect God's in-breaking kingdom. Let's face it: Viola's earlier 2008 release Pagan Christianity was a rampaging bull in an ecclesiastical china shop. Called simplistic and mean-spirited by detractors and a prophetic call for renewal by its champions, all readers had this in common - we wanted more. Okay, Mr. Deconstructor, we said. We see how you can tear down someone else's sand castle with gusto - now let's see how you'd build your own. And build he does. Has anyone read The Shack? If this 2 million-plus selling spiritual adventure novel shows us anything, it's that the Trinity is hot. No, I'm not talking about Carrie-Anne Moss (but her too...my wife agrees). I mean the divine interplay between Father, Son, and Spirit. In an era captivated by the possibility of discovering The Secret and fascinated by A New Earth, G-D can still hold G-D's own, especially when conveyed in the mystery of a loving God-as-community that's the heart of Trinitarian spirituality. 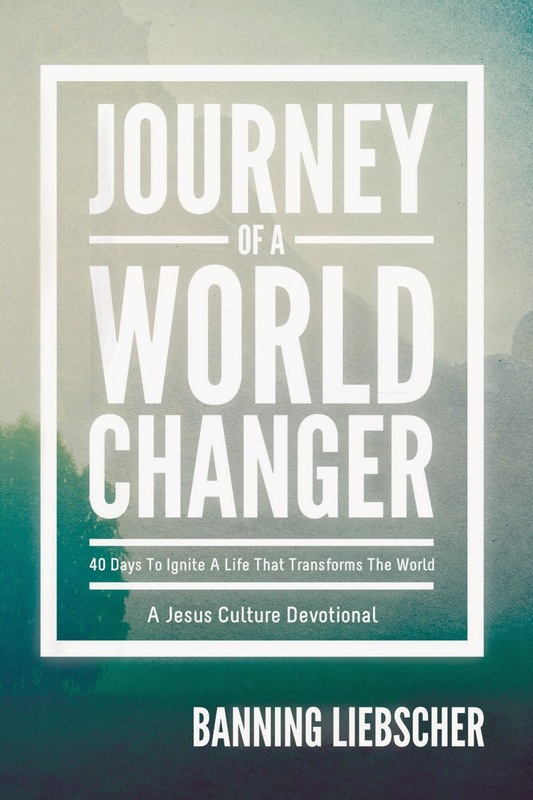 So the super-cool thing about " Reimagining Church" is that it doesn't open up with a dry discourse on why the New Testament church is better than First Baptist on the corner - instead it opens with a depiction of the Godhead in fellowship. Taking a cue from Stanley Grenz, Miroslav Volf and others, Frank puts flesh on conceptual bones by showing how it's within the DNA of the church to reflect the mutually-indwelling nature of the Trinity. How can we harness this innate spiritual energy? How does this look in everyday, practical example? This is what the first part of " Reimagining Church" fleshes out. Part two is a comprehensive re-visioning of what leadership, authority and accountability in a Trinity-rooted, organic church. If you've always had an inkling that you don't need denominational "covering" or hierarchical authority fencing you in to be right with God (as an individual or church body), "Reimagining" will fund your biblical imagination with an alternative reading of Scripture that points to the dignity of each person in the church, encouraging relational and shared authority responsive to the leading of Christ alone. Sometimes I feel like an amphibian, breathing the air and water of two worlds - the house church movement and the emerging church conversation. Sometimes my friends in each misunderstand the Other - that is, when they're not amphibians like me. Being kind of a book guy, I keep an eye out for books that occupy liminal space - that are bilingual, that breathe air and water. "Reimagining Church" is one such book - it has something to offer both conversations, and maybe even move us all forward. You might not agree with all the author's conclusions, but your creative capacity to return afresh to Christian faith's sources will be enlarged as a result of reading. Here's what some others are saying about the book too. "In Reimagining Church, Frank Viola is at the top of his game, showing a serene, soaring mastery of the theology of church as organism rather than organization." "Dissent is a gift to the Church. It is the imagination of the prophets that continually call us back to our identity as the peculiar people of God. May Viola's words challenge us to become the change that we want to see in the Church ... and not to settle for anything less than God's dream for Her." "True to form, this book contains a thoroughly consistent critique of prevailing forms of church. 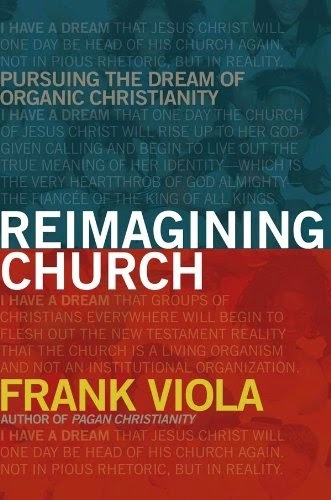 However, in Reimagining Church, Frank Viola also presents a positive vision of what the church can become if we truly reembraced more organic, and less institutional, forms of church. This is a no holds barred prophetic vision for the church in the twenty-first Century." "For those who are not threatened by the idea that church must change, Reimagining Church is an absolutely timely and much-needed perspective, delivering a solid biblical vision for the body of Christ. Using the entire scope of New Testament church life, Frank Viola lays out the core values and the essential principles that must form the foundation of life together as the body of Christ. The book delivers an exceptionally hopeful, visionary picture of all that church can and should be. "The body of Christ has been stifled by human traditions for far too long. Reimagining Church charts a fresh course for the church that recovers the simplicity of Christ and listens seriously to what the voice of the Great Shepherd is saying to His people." - Jon Zens, editor, Searching Together and author of A Church Building Every ½ Mile: What Makes American Christianity Tick? "If Pagan Christianity? exposes the reality that much of our current church practice has little basis in the Bible, Reimagining Church takes the next step to establish what truly biblical church life looks like. With the inner life of the Trinity as the starting point, Viola paints an amazing picture of organic church life." In Acts 2, Luke described a church where everyone shared their possessions, had everything in common and was devoted to practices like fellowship and prayer. If you've looked around the modern Church and wondered where that kind of gathering is hiding, we suggest you read "Reimagining Church," which will help form your convictions into revolutionizing thoughts. Frank Viola, a leader in the home-church movement for 20 years, lays out the complicated issue of "redoing church" in a tangible and practical way, never skimming over the hard issues like unity, authority, and spiritual status quo. Spilling over with relevant scriptures and illustrations, Viola's convictions are sure to challenge and excite you. Viola, co-author of Pagan Christianity, continues his discussion on the non-institutional church in Reimagining Church: Pursuing the Dream of Organic Christianity. Having left an organized church in 1988 for a home -- or "organic"-- church model, the author draws comparisons from the early church to the way modern churches operate. Through chapters that focus on "reimagining" the Lord's Supper, the family of God, church unity and authority and submission, Viola, who doesn't believe in clergy, denominations or doctrinal statements, argues that most churches are set up like corporations, while those in the early church were overseen but not controlled by apostles. In the foreword, Viola warns that offense could rise from readers with sacred loyalty to their churches. However, even though he presents what some might consider an extreme position, there are points anyone could glean when it comes to being members of the church -- institutional or not -- truly caring for and serving one another. For all those who want to feel love, acceptance, forgiveness, peace, rest, and freedom from the past, Mike Bickle’s timeless message will break open and restore any heart. Many men and women struggle with what they’ve done and who they are. They have never really had an opportunity to encounter Jesus’ personality and to understand how He sees His children... until now. What does God feel about you? No matter what you have done, God wants you to know that His love is very deep. 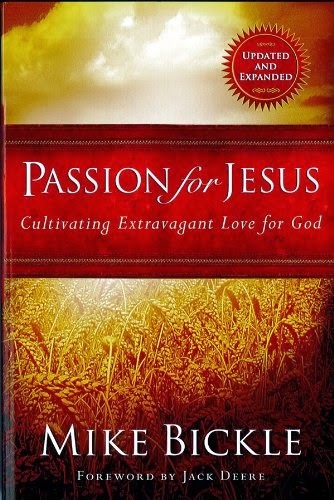 Seeing the passion of God’s personality will help bring you to a personal wholeness and spiritual maturity. It will awaken a stronger devotion to God, and a passion for Jesus. Mike Bickle is the director of the International House of Prayer (IHOP-KC) and also the president of the Forerunner School of Ministry (FSM) in Kansas City. He continues to speak at conferences and events all around the world. He is the best-selling author of The Pleasures of Loving God and Growing in the Prophetic. 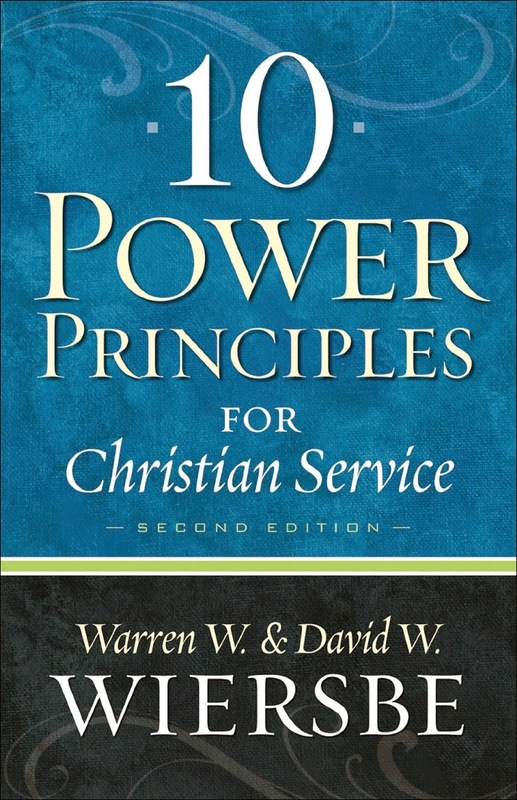 Warren W. Wiersbe is a pastor, author, and editor of more than 160 books, including 50 People Every Christian Should Know, On Earth as It Is in Heaven, and Through the Year with Warren W. Wiersbe. Today his primary ministry is serving others through writing. He lives in Nebraska.